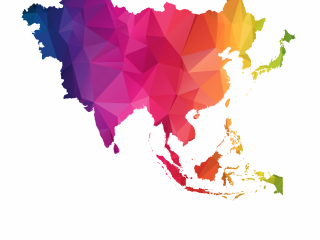 After the usual end-of-month Korean activity data, the central bank (Bank of Korea) will hold its monetary policy meeting on Friday, 31 August. We aren’t forecasting the BoK to change policy next week. Korea’s GDP growth has been stuck under 3% for the last three quarters, and new job creation dipped to an eight-year low in July. 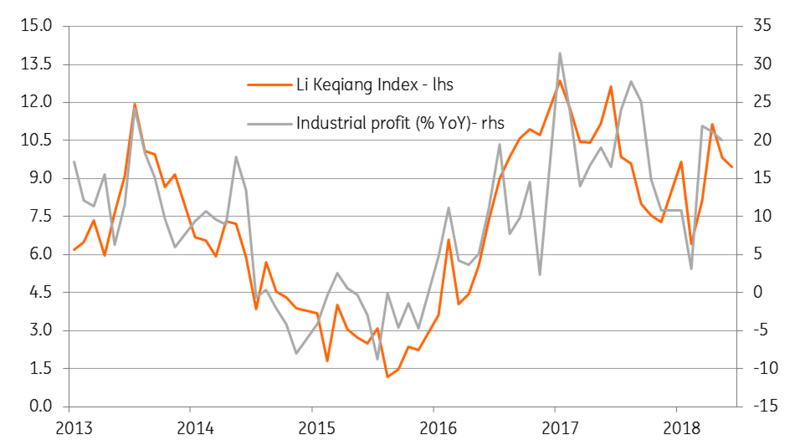 A further escalation of the US-China trade tension also reduces the potential for any export-led growth recovery in the period ahead. 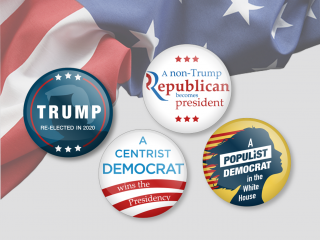 We expect these risks to manifest in the activity data in coming months. 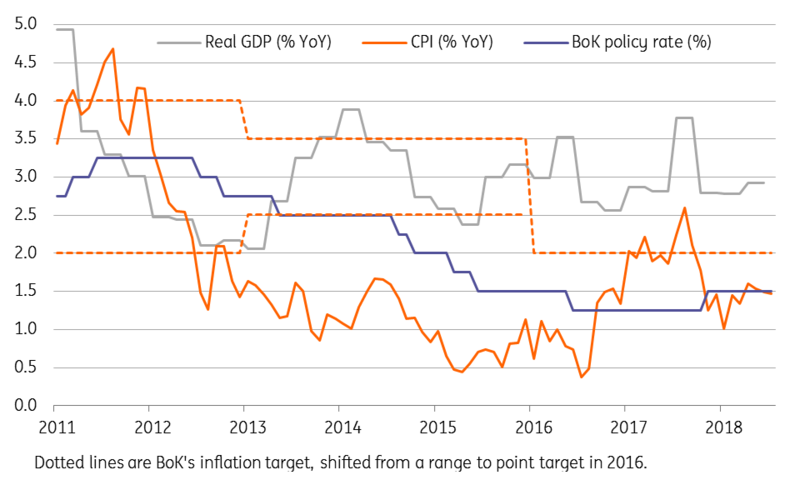 With below-target inflation right now, the argument for the BoK to maintain its accommodative policy stance for the rest of the year remains strong (see figure). 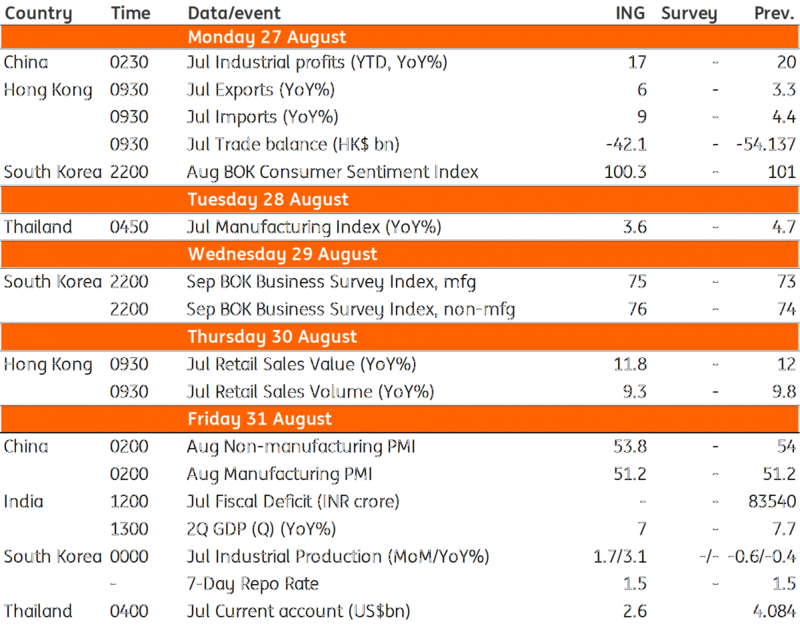 Among the slew of activity releases next week, the forward-looking BoK Consumer and Business confidence indexes and July industrial production data for July will be under scrutiny for clues about the economy’s performance in the current quarter. India’s GDP data for 1Q FY2018-19 (April-Jun quarter of 2018) is due. 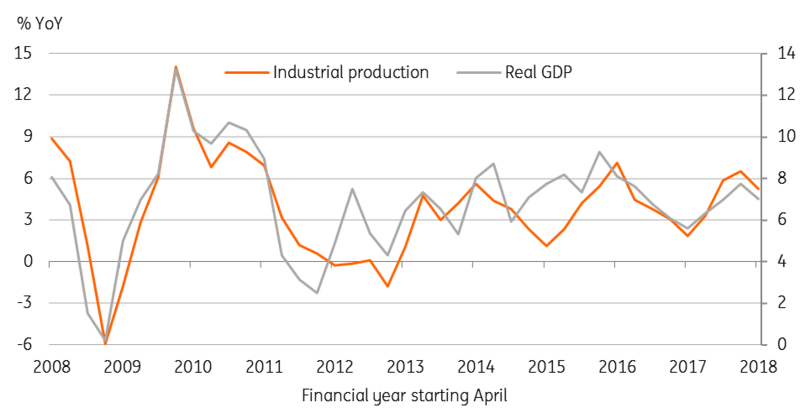 Underlying our projected slowdown in GDP growth is a slowdown in manufacturing (see figure). Export growth accelerated in the last quarter, though exports account for a small share of GDP (average 13% in the last five years). With an oil-led surge in imports and widening trade deficit, net exports have acted as a drag on GDP growth. We forecast a GDP slowdown to 7% YoY in 1Q from 7.7% in the previous quarter, not a good start to the year, the rest of which will remain exposed to greater global economic uncertainty and rising domestic political risk.